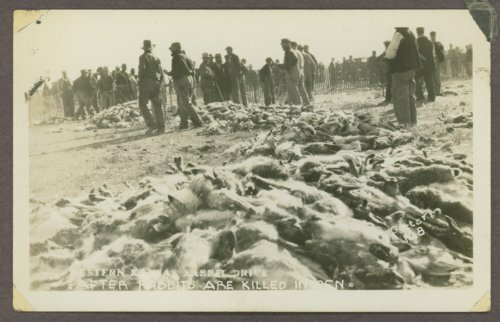 This is a postcard showing rabbits after they were killed in Western Kansas. During this period of drought, Jack rabbits ate what little vegetation was growing. To reduce the rabbit population, they were rounded up in a pen and killed.